Every so often you have to do little jobs on the dairy you don’t have to do very often. 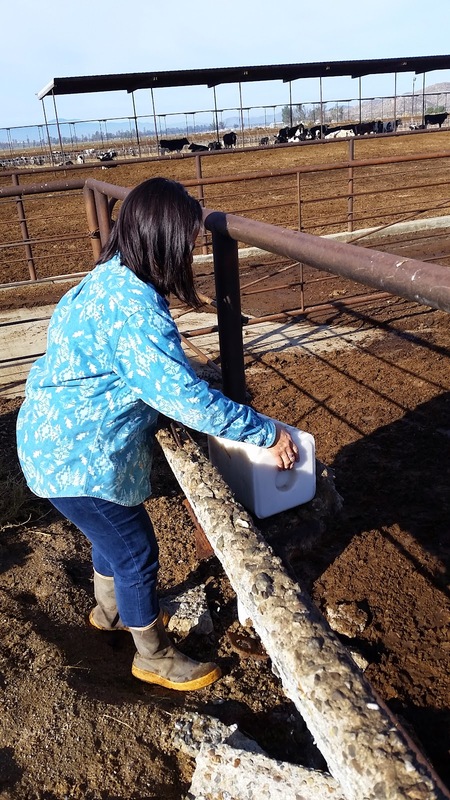 Yesterday was one of those days…it consisted of putting out 50 pound salt blocks to all the corrals. I believe we put about 12 out…yeah it was 12, with took one load of 6 and then came back and got another load of 6! Cows LOVE their salt blocks and mineral tubs; those are next! Also we had a leaky water trough, the float valve lost a cotter pin to keep the float from shutting the water off. When I was in with these growing heifers giving them salt, I notice the leak…but they are over there too busy looking at Madison stuck in the MUD!!! Mom helped with salt block duties. Then it was off to feed the horses and our two remaining cow/calf pairs. These two are such a cute duo! Madison loves to talk to the horses and they love her just as much! Off in the distance you will see Bryce, Ricardo and Sabino re-bedding pen 1-2 with straw. The nights have been getting quite chilly for this group which had had a hard time lately, so the purpose of the straw is to help keep their bodies warm so they don’t have to work so hard. Yesterday we FINALLY got our tree! 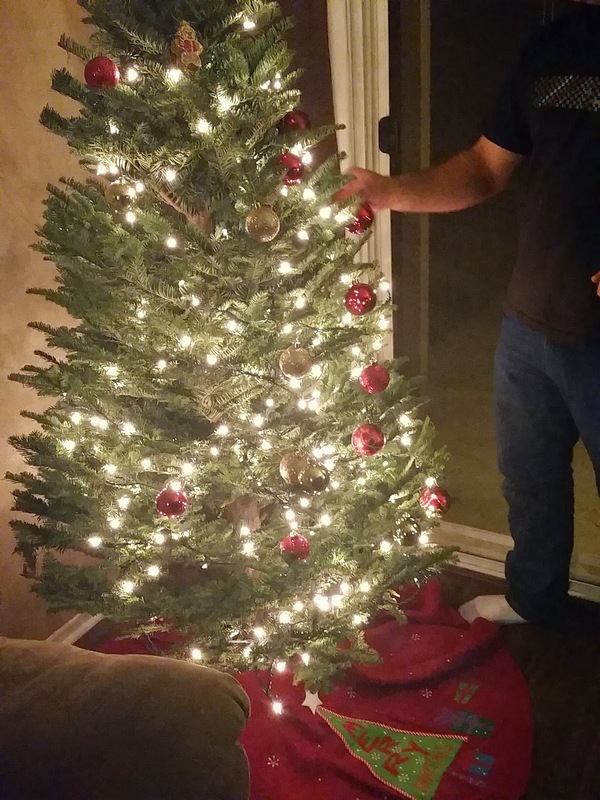 We got the perfect tree…not too big and not too small…just right! The house was finally starting to feel like Christmas, you can put up all the decorations BUT until the tree is up…THEN it feels like Christmas! 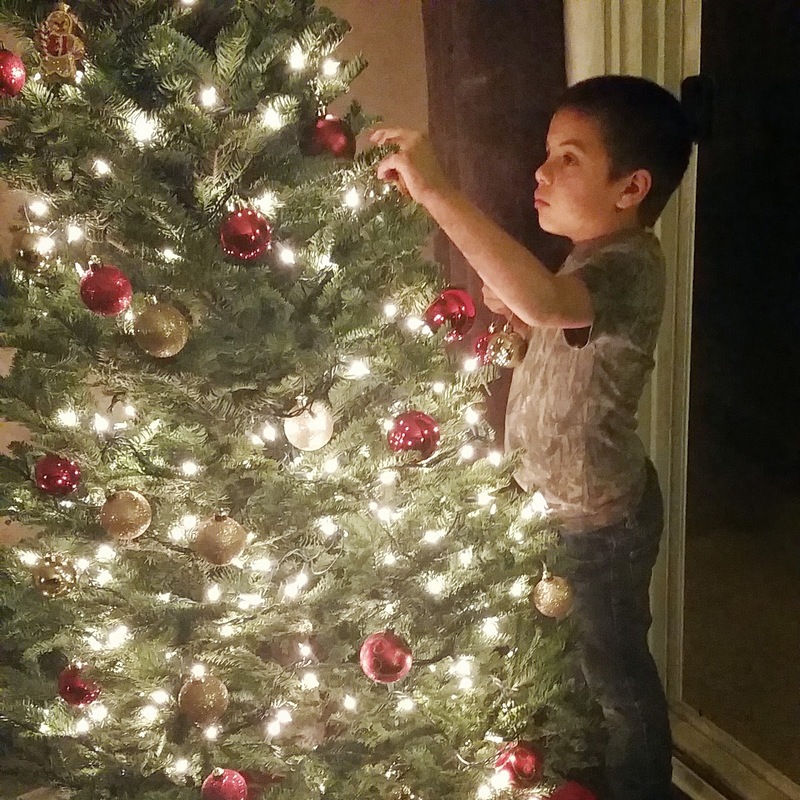 Bryce loved decorating the tree this year…last year he wasn’t interested at ALL, but this year he said it was tradition. I love our little tree…I still need to get some hooks for some ornaments we still have to put up but it’s coming together!